Why is an entangled qubit shown at the origin of a Bloch sphere? 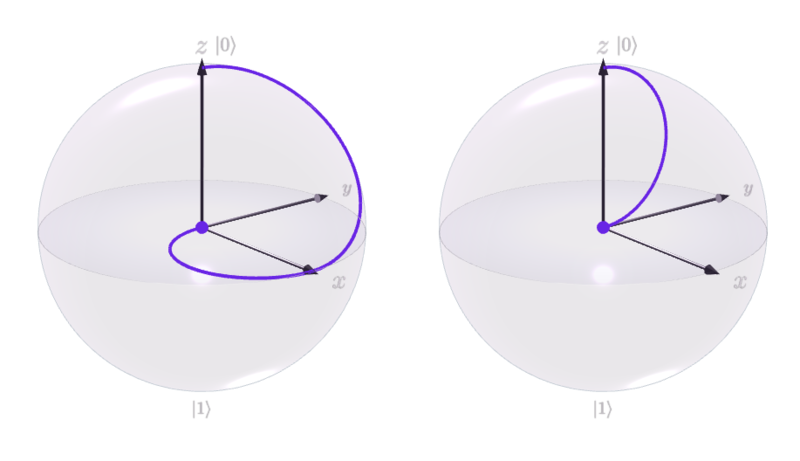 I'm unclear why the Bloch sphere representation of a maximally entangled qubit shows the state of the bit as being at the origin of the sphere. over time, with $q_0$ on the left and $q_1$ on the right. Both qubits end up at the origin of their respective spheres following application of $CNOT$ ($q_1$ "waits" at its initial value until after $H$ moves $q_1$ to $x$). Why is a maximally entangled qubit shown at the origin of a Bloch sphere? An explanation of sorts is provided here, but I'm too much of a beginner to follow it. Let $(x,y,z)$ be a point in the unit sphere with $x^2+y^2+z^2 \leq 1$. This is just a convenient way to parameterize all $2\times 2$ density matrices. This doesn't work as nicely for qudits with $d \neq 2$. But since we are talking $d=2$, we might as well use this nice parameterization. This is the maximally mixed state. What is being shown is the state for only 1 qubit. This is the result after taking a partial trace over the other qubit. Edit: As stated above "This is just a convenient way to parameterize all $2\times 2$ density matrices. This doesn't work as nicely for qudits with $d \neq 2$. But since we are talking $d=2$, we might as well use this nice parameterization." So even if density matrices still make you queasy, don't think of the center of a sphere as being something particularly meaningful. It is just a convenient way to draw all states and in this case the center happens to line up with the maximally mixed state. So no it is not something fundamental. It doesn't generalize to other $d$ or more qubits. Don't take this particular parameterization too seriously, it just allows us to plot the state in a way to quickly convey the information visually. The Bloch sphere only represents the state of a single qubit. What you’re talking about is taking a multi-qubit state, and representing the state of just one of those qubits on the Bloch sphere. If the multi-qubit state is a product state (pure and separable), then the state of the single qubit is a pure state, and is represented as a point on the surface of the Bloch sphere. If the overall state is entangled, then the individual qubit is not pure, and is represented by a point that is on the interior of the Bloch sphere. The shorter the distance to the centre, the more mixed the individual qubit is, and hence the more entangled the global state is. The maximally entangled state yields the shortest possible distance, i.e. the point right at the centre of the sphere. AHussain’s answer gives you the mathematics of how to formally calculate that. Not the answer you're looking for? Browse other questions tagged entanglement bloch-sphere or ask your own question. How to think about the Z gate in a Bloch sphere? How to prove that Z operator rotates points on Bloch sphere about Z axis through 180°? Why do Bloch sphere wavefunctions have half angles? Can the Bloch sphere be generalized to two qubits? How to transfer non maximally entangled state to maximally entangled? What's a vector in the format of the Bloch Sphere? What utility is provided by the Bloch sphere visualization?